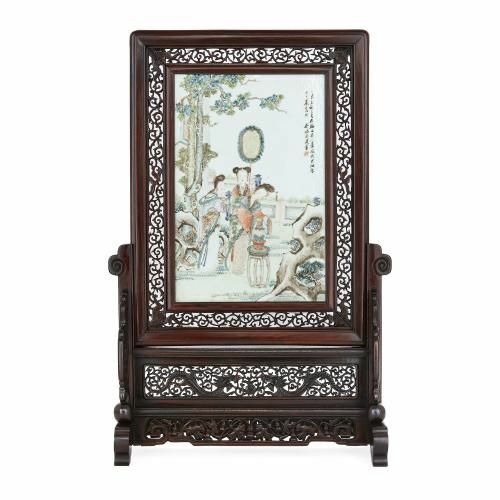 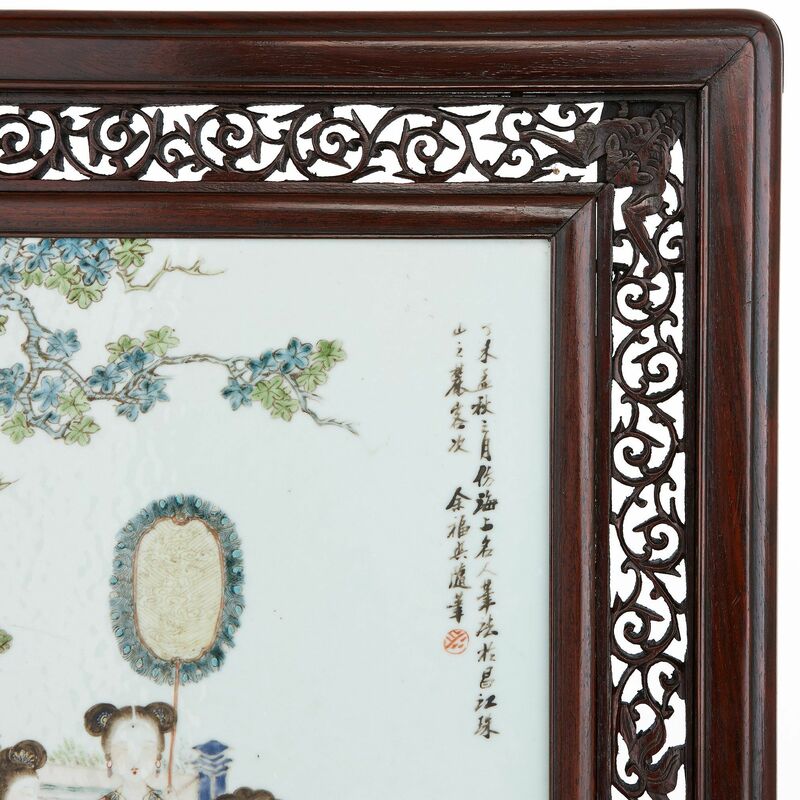 This fine antique Chinese screen features beautifully intricate wood carvings depicting dragons, as well as a splendid central porcelain plaque. 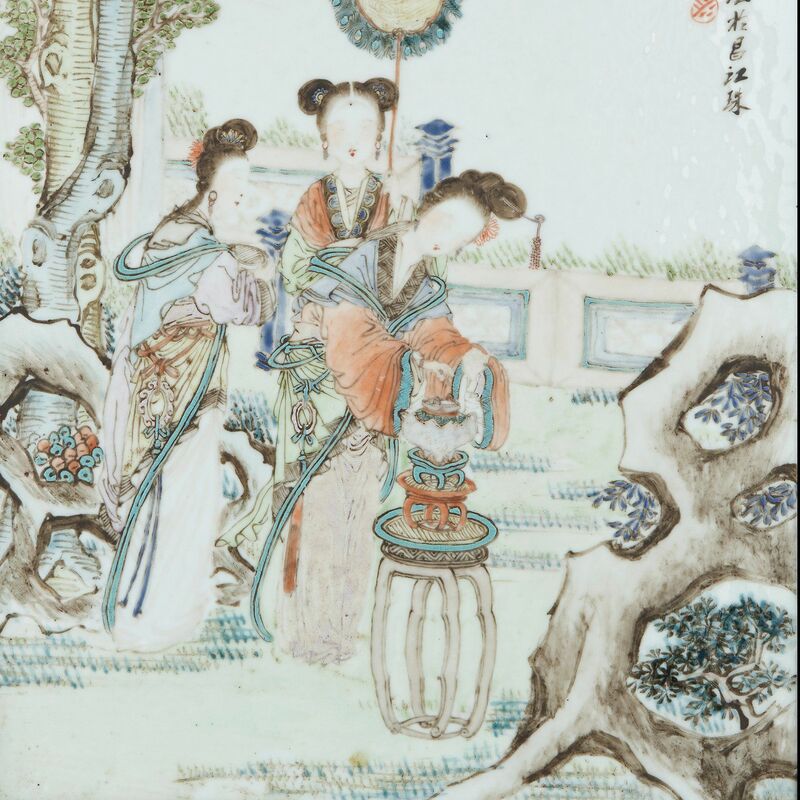 The central porcelain plaque portrays three Chinese ladies in an outdoor setting, surrounded by Chinese objects, on white porcelain ground, with a Chinese signature and a red signature mark to the corner. 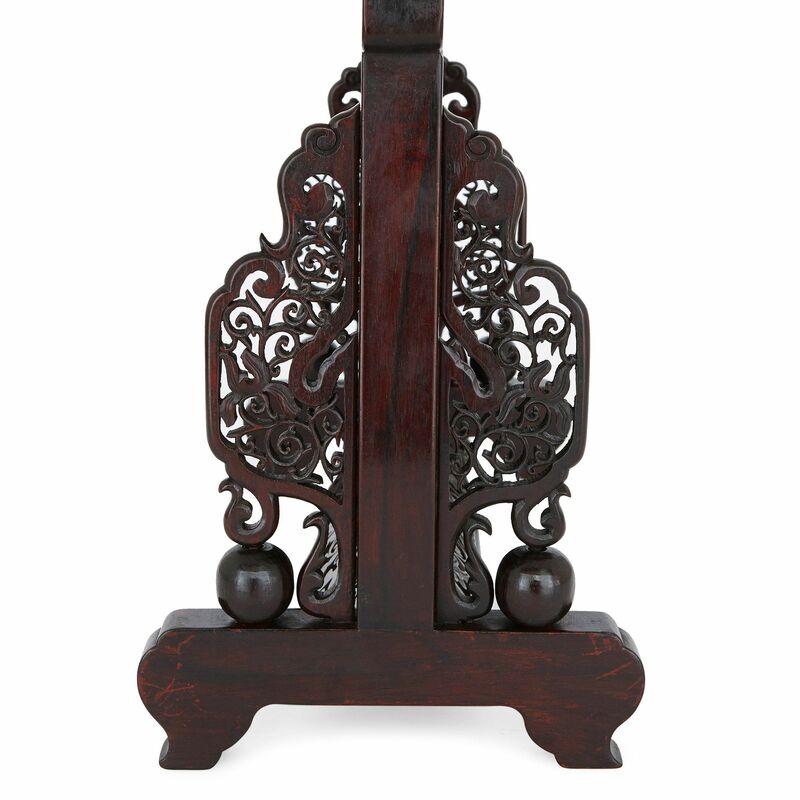 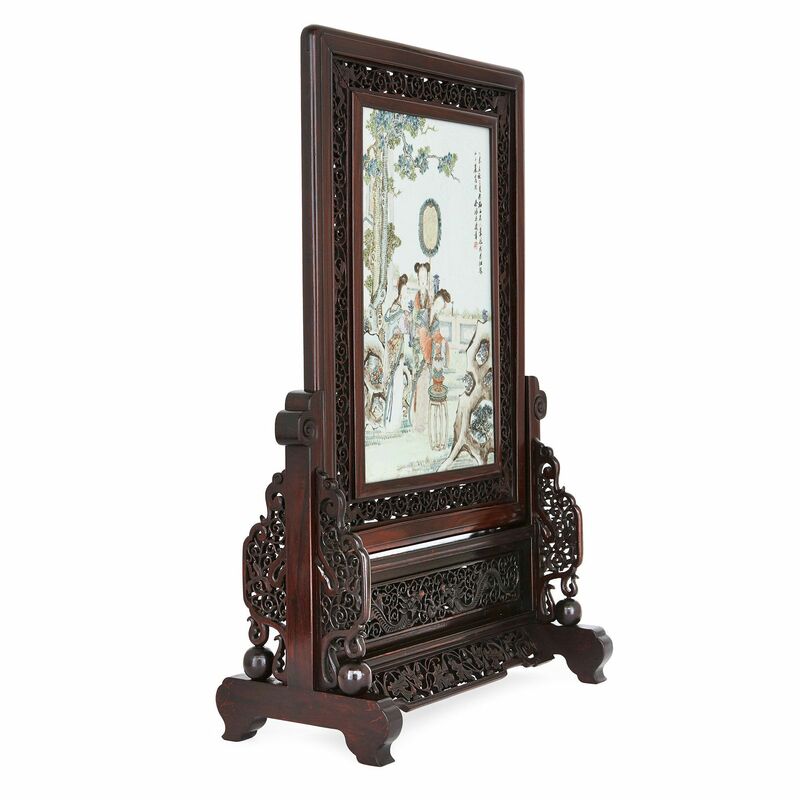 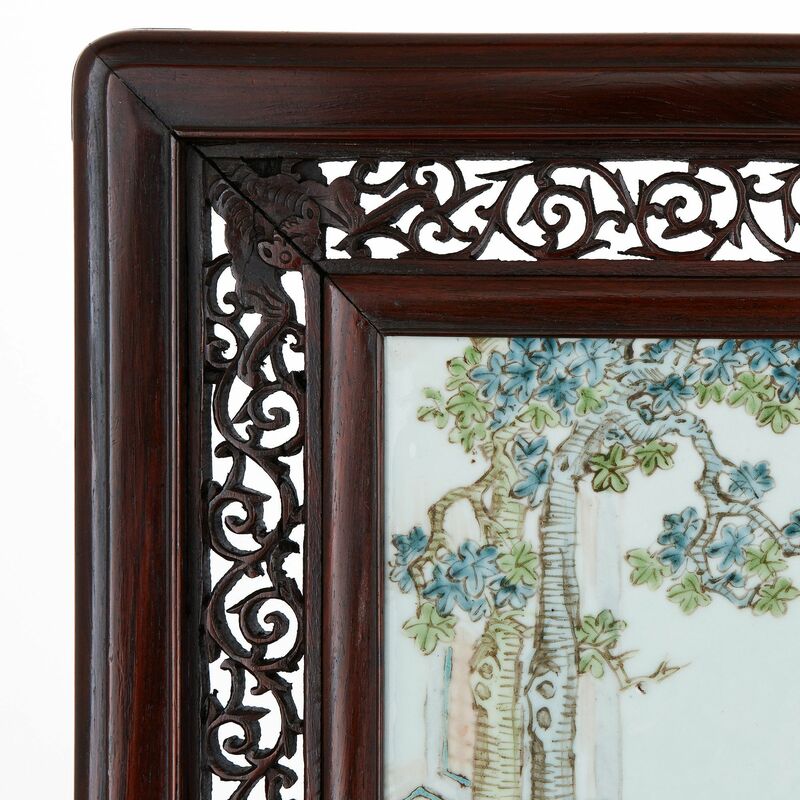 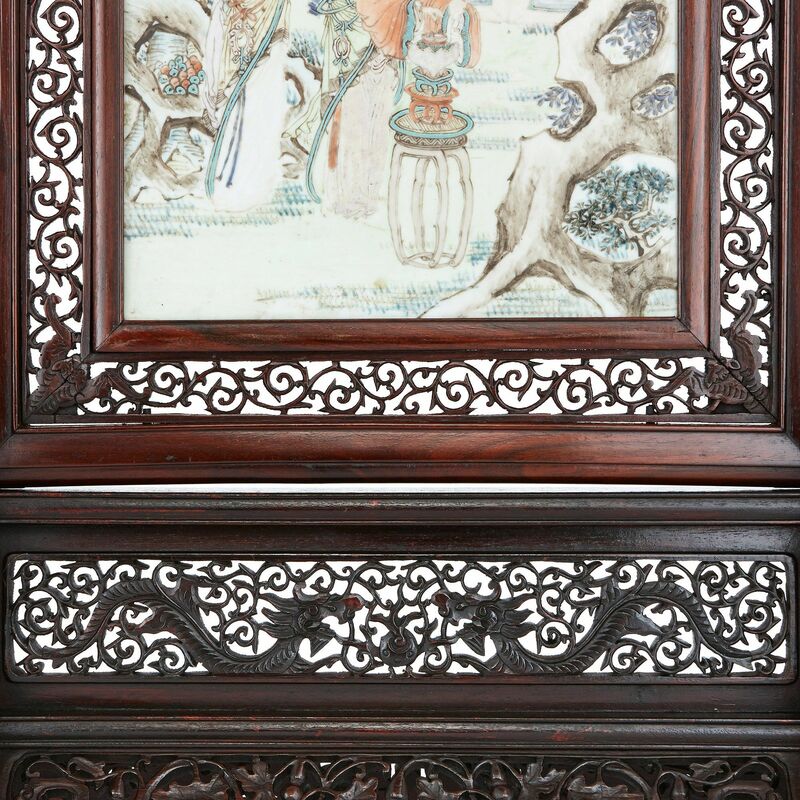 The screen is crafted from Hongmu, a variety of dark rosewood typically found in southeast Asia, and features carvings depicting dragons and foliage.